I’m sorry that it has been so long since my last update. As you can see the snow is back again now, with more forecast over the next few days. I don’t suppose the deer much like it, but I guess they prefer it to driving rain at least until it gets too deep or frozen for them to get at food. The main activity over the past month has been on preparing our new woodland schemes. The fences are now all up, and mounds dug ready for the trees. The trees are on site as well, so we just need a few days of better weather to be able to start planting in earnest. There some 12,000 trees in total to be planted so that will be a fun few days bent double! 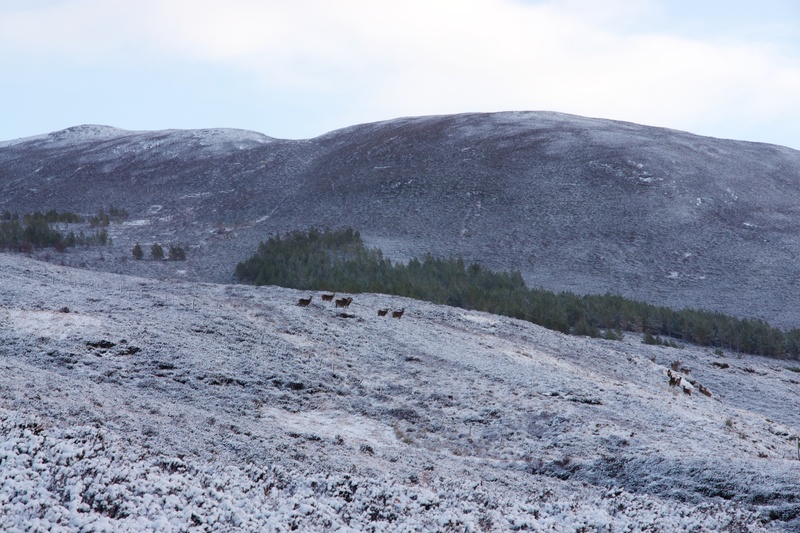 This entry was posted in Uncategorized and tagged Croick Estate, Deer, Snow, tree planting. Bookmark the permalink.